The Naini Lake:This is the star attraction of this place. The entire lake is surrounded by beautiful hills and that lends a panoramic touch to the entire place. 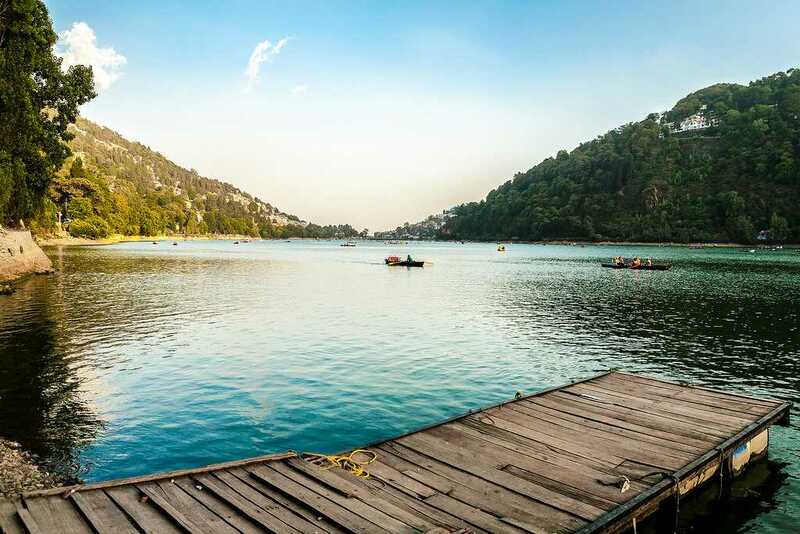 With sail perched boats and calm and tranquil water, the Nainital Lake is the first place that you ought to visit when in the hill station. You can spend a leisurely time with your beloved or opt for some water fun with your family!